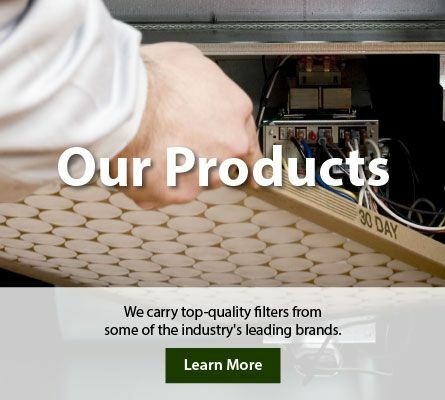 In addition to supplying the filters you need got your workplace, the team at McGregor-Sharp Filtering Equipment also offers the services you need to keep your filter in good working order. We offer a thorough inspection of the filter, as well as complete testing, cleansing, and drying. 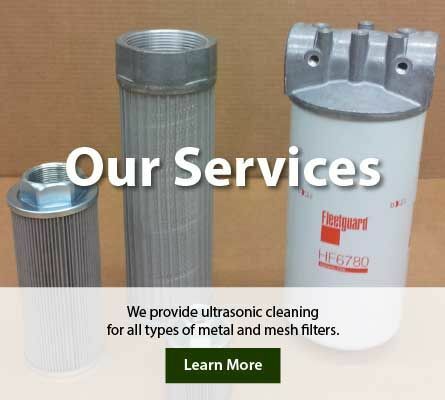 Our ultrasonic cleaning measures ensure that your filter can be used on all types of metal filters. Never replace a filter when you can have it inspected and cleaned first! Clean air is an essential for healthy living. Indoor air quality in your workplace is a priority that we know you take very seriously. Each work space is different, and at McGregor-Sharp Filtering Equipment, we evaluate you individual air quality needs with care. Poor indoor air quality can cause a number of issues, including fatigue, allergies and hypersensitivities, dizziness, and more. In addition to air, maintaining filtered oil, hydraulics, and more is essential to environmental stewardship and safety in the workplace. At McGregor-Sharp Filtering Equipment, we understand the importance of an appropriate filter for your heavy industry plant. Many heavy industry plants release chemicals and other products that can be harmful to the air and water, which is partly why choosing the right filter is necessary. The team at McGregor-Sharp Filter Equipment is here to help at every step of the way with selection, installation, and then maintenance of the filter. Contact McGregor-Sharp Filtering Equipment today to get started on selecting the right filter for your industrial or commercial business. We take pride in our work and in the products that we offer. Call or email us today for more information on our filters or filter cleaning services.